Language has not been a barrier; man-made political boundaries are not obstacles; nor is caste, creed or religion. Many a heart conditioned by spiritual enquiry or devotional yearning has been attracted and enriched by Bhagawan's message. What can be a better testimony to the universality of Baba's message than this: “I have come to make a Hindu a better Hindu, a Muslim a better Muslim, a Christian a better Christian”; in other words, let every man become a better person. In the ocean of worldly existence, religion is a ship that ferries man to the other side, where he truly belongs. However unfortunately we tend to get attached to our ships and in the process lose sight of our destination. The message of Bhagawan shines forth as a pole star in the skies of eternal spirituality to guide and lead lost mankind. Mr. Fize Mohammed, is one such seafarer who while travelling in the beautiful ship of Islam was attracted to this 'guiding star'. We are pleased to offer this conversation with Mr. Fize during this holy month of Ramadan. This last few weeks have seen a unique celebrations of this holy festival in Prashanthi Nilayam where devotees from nine countries of the Middle East including Iran, Turkey, Bahrain and so on offered their love to Bhagawan. We will shortly bring you video clips and transcripts of the reflections of these devotees on being in Prasanthi Nilayam during this holy month. For now here is the interview with Mr. Fize Mohammad from Trinidad and Tobago. How then did he come to accept Bhagawan? Read this conversation done in December 2009 in the Radio Sai studio to know his story and also how Swami has reached out to this island nation of West Indies. RS: Sai Ram Mr. Mohammed. It is a privilege to have you with us. Swami’s devotees are present in every corner of the world but this is the first time we have someone from the island nation of Trinidad and Tobago in the Radio Sai studio. Before we discuss your relationship with Bhagawan and how He came into your life, could you please tell us about yourself? FM: Sai Ram. It’s a great opportunity to be here in Radio Sai and I thank Bhagawan for this. I am a Muslim by birth and a financial consultant by profession. 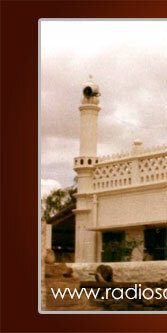 I am also an active member of the Sri Sathya Sai Organization of Trinidad and Tobago since 1981. By Swami’s grace I have occupied several positions in the organization. Initially I was the National Youth Coordinator for four years. Currently I am the National Spiritual Coordinator for Trinidad and Tobago (Mr. Fize held this post till November 2010). By Bhagawan’s grace I conduct a Sai Radio program called Sai Amrit Vani in my country. 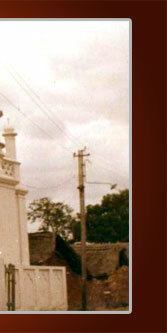 It is a weekly one-hour program and is broadcast on an Indian channel known as Radio Heritage. In this program we share the love, teachings, miracles, and mission of Bhagawan Sri Sathya Sai Baba. However I never thought that I’ll be in the Radio Sai studio in Prasathi Nilayam; it is a privilege to be here. 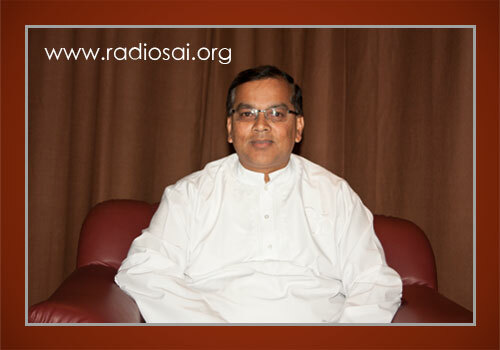 RS: Our listeners will be very keen to know about how Swami came into your life? FM: From a very tender age I was inclined towards spirituality. I started off with books like the 'Power of Positive Thinking' very early in my life and very soon gravitated towards deeper spiritual texts. I read books such as 'The Gospel of Sri Ramakrishna', 'An Autobiography of a Yogi', about Sri Ramana Maharshi and others. I was fascinated by these wonderful saints. Whenever I read these books it created a stir in me to go deeper and deeper and find myself. From an Islamic stand point, I studied Sufism and read about the mystical men of Islam like Jalaluddin Rumi, and Imam Al-Ghazali who had transcended religion and had truly lived in spirituality. RS: You developed interest in such spiritual texts at a young age. Was it the influence of your parents or surroundings or was it from within? FM: It was there naturally in me. Very early in my life I had this urge to find out why I was born and what the purpose of my life is. I had very few friends as not many around shared my thoughts or the journey. Their interests were more material and worldly. RS: Did your parents support this quest of yours? Didn't they mind you reading books of different doctrines and faiths and those of different spiritual masters? FM: Well, in fact my father was a very universal person. He had read works of Mahatma Gandhi, Rabindranath Tagore, and after I came in touch with Bhagawan, he even started reading books on Him. So he had encouraged me to read different books and become universal. My mother was a simple minded and pure hearted lady. But it was my father who did most of the reading and we would have a lot of discussions on what he read. RS: Where did all this learning take you? FM: At the age of seventeen when I completed secondary school, I was not sure of what to do next. So I decided to take a small break and figure out what I really wanted to do. Having free time at hand, I used to visit the mosque in my village frequently and spend hours in meditation. I met people and it opened my eyes to how my other Muslim friends believed that Islam was the greatest religion and Prophet Mohammed was the last messenger of God. I used to engage in a lot of arguments about how Islam is a great religion but how other religions such as Hinduism and Christianity were great as well. In the end God judges you by your conduct and purity of heart, irrespective of your religion. At this point I met a gentleman who was the son of the Imam who conducted the prayers at the mosque. This gentleman had similar thoughts as mine. We had long spiritual discussions sometimes extending up to the wee hours of the morning. He had a great influence on my spiritual development. As this gentleman was elder to me, I got many spiritual insights from him. I felt ecstatic at this fantastic, universal, and loving message of Bhagawan. It enticed and encouraged me to go deeper into the teachings and mission of Sri Sathya Sai Baba. He had captured my heart. But He also created a conflict when He said, “I am God, all names and forms are Mine.” As a Muslim I always knew God as formless. I wondered how to reconcile to the fact that the formless Allah was Sai Baba! But as I delved deeper I saw what He had said: “I am God, but you are God too. The difference is that I know that I am God, but you do not!” However, this conflict was so strong; the confusion and frustration lasted for weeks and months. It gave me sleepless nights and I prayed to almighty Allah to show me the way and the Truth. And then something dawned on me: if Allah is omnipotent, omnipresent, and omniscient, can He not assume a human form? This removed quite a bit of doubts from my mind, though not completely. RS: Was it just a flash? An understanding that came from inside? FM: Yes. It just dawned on me one day as I was constantly praying to Allah to resolve this conflict in me. As I could relate so much with Sai Baba’s teachings I decided to visit some Sai centers in Trinidad. We have only about 1.2 million people in Trinidad but 52 Sai centers, almost one in every village. I went to the nearest one and the first bhajan I attended captivated me! I felt universality at its best. Even though I was beginning to feel attracted towards Swami and His teachings, the conflict between the form and the formless continued to bother me. So I sought out Muslim devotees of Bhagawan and spent hours talking to them about how they had reconciled to the form of Sai Baba from the formless Allah. It helped me a lot and I finally decided to see for myself. In 1981 a group of people from Trinidad and Tobago were coming to Prasanthi Nilayam to attend the first Overseas Conference of Bala Vikas Gurus and I offered my name as a delegate. With Bhagawan’s will and grace, I spent one full month at Puttaparthi. It was during this trip, after observing Swami materialize things, interact with devotees, hearing Him speak and feeling the energy, that I came to strongly believe in Sai Baba as someone really great and spiritual. At the end of that trip a great amount of my doubts vanished. That is how I came into Bhagawan’s fold. RS: So it was Bhagawan's message that attracted you first, and later when you saw Him your belief was strengthened. FM: Yes, I gravitated to the universality of His message. Here was a Teacher who said it does not matter what religion you belong to, as the goal is the same; whatever form of God you pray to will take you to the same goal. Very few teachers say this. I returned to Trinidad and Tobago a totally different man.